Studio Design Group LLC (SDG) is a New York-based company specializing in the master design of music recording studios involved with modern music recording, film scoring, orchestral recording, stereo mixing, 5.1 surround mixing, editing and pre-mastering. Led by Troy Germano, SDG has built commercial and private facilities in New York, Miami, London, Los Angeles, Mexico and the Czech Republic. At SDG, Troy Germano supervises the entire project from the design stage through final construction, with digital & analog equipment selection that includes negotiation, purchase and implementation. Having designed, built, owned and operated all of the music studios at The Hit Factory in New York City, Miami & London from 1981 through 2003 – as well as his own Germano Studios since 2008 – Germano brings one-of-a-kind expertise to Studio Design Group, offering the perspective of not only a highly experienced studio designer, but also that of a successful studio owner and operator at the highest level. 1993: Germano converts London's CBS Studios into a state-of-the-art recording complex for Sony Music, while serving as CEO of The Hit Factory in NYC. 1994: Home studio design for Michael Jackson. 1995: Home studio design for Paul Simon. 1996: Home studio design for Mariah Carey. 2002: The renovation of Criteria Recording Studios in Miami is completed after two years of massive reconstruction. 2003: Germano completes an educational recording facility at New York University's Tisch School of the Arts for the newly created Clive Davis Department of Recorded Music. 2005: SDG begins the design for the studio facility at the new headquarters of Red Bull North America in Los Angeles; this facility is opened in 2007. 2007: Design and construction begins on Germano Studios New York in Noho. This two-studio complex is opened in June of 2008. 2009: Studio Design Group completes the new recording studio and video control room for ABKCO Records’ new location on lower 5th Avenue, NYC. 2011: SDG begins design for large-scale studio facility, RG Studios, in Tampico, Mexico. This is a 24 month design/build through 2012. 2013: New design projects underway for recording facilities in London and Los Angeles. RG Studios is opened in Tampico, Mexico. 2014: Consultancy for Universal Music Group overseeing Abbey Road Studios London and Capitol Studios Hollywood. 2015: New design projects continue for facilities in New York City, Chicago, and London. 2016: Finished acoustic/studio/space design and equipment consultation on the new multimedia retail store for Samsung New York (Samsung Marketing Center of Excellence). 2017: New design projects are underway for Florida, New York, and Poland. Home production studio and acoustic listening space completed for New Jersey and New York City. 2018: Private recording studio/playback environment for Los Angeles. Home production studio for Ft. Lauderdale. Sound installation for Bia Training Facility, New York City. Listening lounge for home, New York. 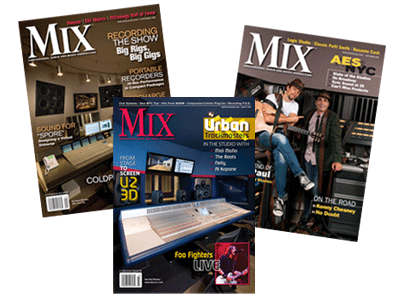 Numerous accolades have been received for these design projects, including the Technical Excellence and Creativity Award for Acoustic Studio Design (TEC Award) in 2003 for The Hit Factory Studio 6 and in 2008 for Red Bull Studio as well as the same nomination four other times, including most recently Germano Studios in 2009. The recording studios Germano has owned and designed have been associated with over 150 Grammy Award winning recordings and over 500 RIAA Gold & Platinum record awards. John Lennon, Michael Jackson, The Rolling Stones, Bruce Springsteen, Stevie Wonder, U2, Madonna, Prince, Mary J. Blige, Coldplay, John Mayer, Rihanna, Eric Clapton, Paul Simon, David Bowie, Sting, Peter Gabriel, Talking Heads, Joan Jett, Sade, Beyonce, Mariah Carey, Celine Dion, Neil Young, Pete Townshend, Keith Richards, R.E.M., Andrea Bocelli, Anita Baker, The Killers, John Legend, Adele, Jay-Z, Billy Idol, Billy Joel, Miles Davis, Frank Sinatra, Tony Bennett, The Eagles, Bob Dylan, The Cure, Squeeze, Bryan Ferry, Mark Ronson, Britney Spears, Notorious B.I.G., Run DMC, KISS, The Eurythmics, Pharrell Williams, Carrie Underwood, OneRepublic, Phil Collins, Snoop Dogg, Lady Gaga, Kanye West, Katy Perry, One Direction, Diplo, Tiësto, Kendrick Lamar, Lorde, Logic, Frank Ocean, Sheryl Crow, Chance The Rapper, Ryuichi Sakamoto, Big Sean, Foo Fighters, and Dream Theater.